We are proud to make available a sample chapter and the foreword by the esteemed late Dr. Pat Odom. 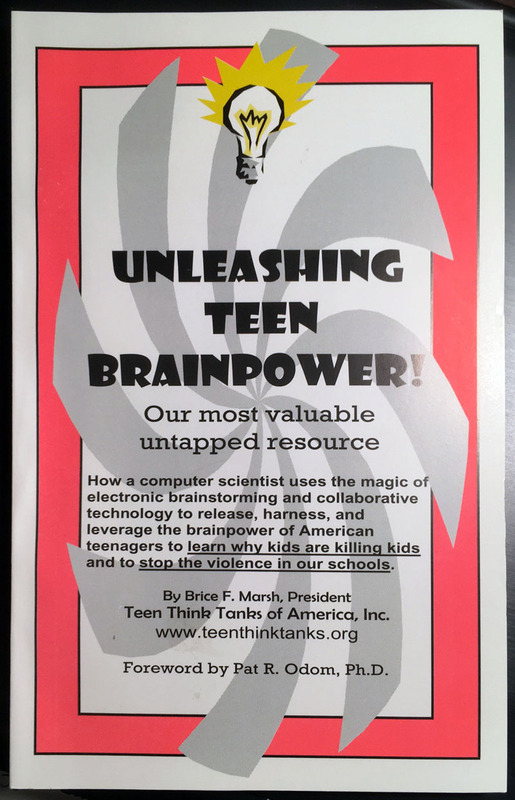 Click on the image of the book Unleashing Teen Brainpower! to download the sample chapter. All net proceeds from the sale of this book go to Teen Think Tanks of America, Inc. Price $12.95.